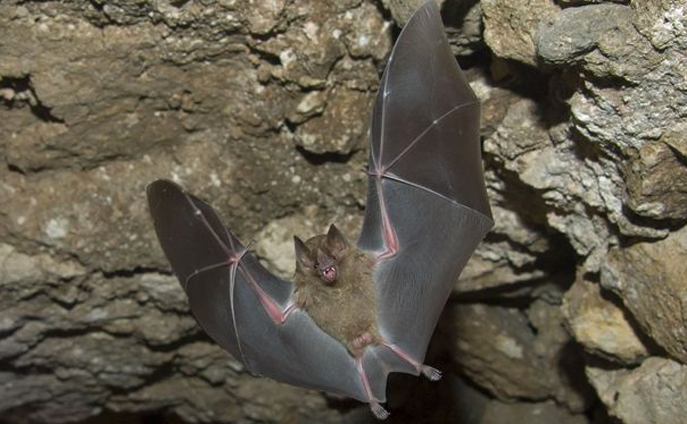 The Jamaican fruit-eating bat lives in harems of up to 14 females with one male. Their nose has a small leaf-like flap consisting of skin, muscle and cartilage which aids in echolocation. This bat carries fruit back to dining roosts where they squeeze out the juice and drop the left-over flesh of the fruit to the ground. Their digestion is very rapid, with food passing through their system in 15-20 minutes. Fruit bats are important seed dispersers.